We are celebrating our 2 year blogaversary at Get Creative. And the theme for this challenge is of course... B i r t h d a y.
I made sort of a quirky creation for a lady with a Finnish sentiment (made with Dymo) wishing "Cheerful Celebration". Image is from our sponsor Dr Digi, called Photocopy Phoebe and I have colored her with ProMarkers and I also did some highlighting with white Sakura gelly roll pen. Colorful retro designer paper is a digital one from Memory Muse Studios, two smaller ones are from stashed scraps. Button is from grandma and for finishing touches I added some baker's twine and black rhinestones. Juhlimme blogimme 2-vuotissynttäreitä Get Creative -sivustolla. Teema ei liene kenellekään yllätys, sillä se on tottakai... S y n t y m ä p ä i v ä.
Oma korttini on tehty ei-niin-vakavahenkiseksi. Kuva on sponsoriltamme Dr Digi 'lta, nimeltään Photocopy Phoebe ja väritin sen promarkereilla sekä muutamilla Sakuran valkoisella gelly roll -kynällä tehdyillä korostuksilla. Värikäs retrohenkinen kuviopaperi on Memory Muse Studios 'n digipaperi, pari pienempää palasta nappasin silppulaatikosta. Nappi on mummolta saadun nappipurnukan syövereistä, ja loppusilauksena korttiin päätyi vielä puotinarua ja mustia akryylijalokiviä. Oh Eemeli I love your card is amazing what a great image I love your and your colours design papers and embellishments are totally perfect. 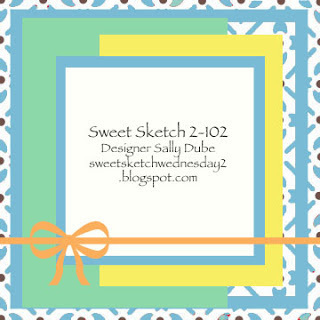 Thanks so much for sharing your work with us over at Sweet Sketch Wednesday 2 and good luck. A fantastic card, I had to have a laugh when I saw this. Ihana aamun piristys! !Kiitos osallistumisesta haasteeseeni ja mukavaa marraskuun loppua. Giggle - what a hilarious card - I love it! Thanks for adding your lovely creation to our "Going in Circles" challenge at Bugaboo's Catch the Bug blog - good luck. Please join us again soon. This is HYSTERICAL! What a GREAT IMAGE!!! Thanks so much for playing along with our "Going in Circles" Challenge at The Bug Blog with Bugaboo Stamps! Be sure to join us again this week for our new BINGO challenge! Such a FUN card. I am still smiling thinking about the card. 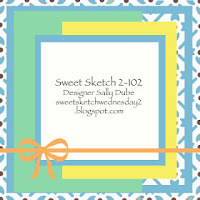 What a FUN image and card; love the background of circles! Thank you for sharing with us at CWWC Challenge. Funny card! Love your papers and bright colors too!